Amish Rustic Furniture | Amish Originals Furniture Co. 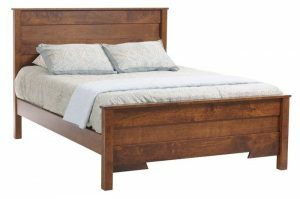 Fill your home with beautiful, high quality Amish rustic furniture from Amish Originals Furniture Co. Crafted in small workshops, Amish rustic furniture is a legacy worthy of passing on from generation to generation in your family. We offer high quality Amish rustic furniture built from American hardwoods in a variety of styles. Amish Originals works with over 70 local Amish craftsmen who produce high-quality Amish rustic furniture in their family shops. Each piece is designed and handcrafted individually. There are no assembly lines here and because each piece is made with 100% American hardwoods, each piece is unique. When you buy Amish Rustic furniture, you are not only purchasing a work of art, you are also supporting the local craftsmen who use their time and energy to create it. Since 1992, Amish Originals has been offering high quality Amish rustic furniture. To learn more about what we offer, browse our products. We’ll be happy to answer any questions you may have. Just contact us directly. The best way to see what we have, however is to come visit our showroom in Westerville, Ohio. There, our friendly staff will be happy to help you in your search.